Vividh Bharati FM 102.9 Bengaluru Live . 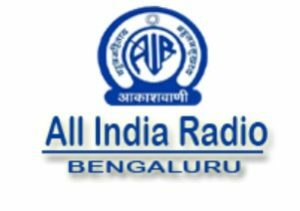 Listen Over 30 Kannada radio stations Online . Vividh Bharati FM 102.9 Bengaluru broadcasts latest kannada music , karnataka news 24 by 7 . All these programmes are produced centrally at Vividh Bharati Service . Note : Press FM Play button to start Listening to the radio.